I moved to the Island with my family 19 years ago for my husband’s job, and until my retirement, I worked as a school librarian. We have 1 grandson who attends an island primary school. At present I am on the Standards, Provision and Partnership committee. Since becoming a Foundation Governor, it has been my privilege to see The Bay CE Primary and Niton Primary become the Cornerstone Federation serving the communities of Sandown and Niton. As we become an All-Through School in September, there will be new challenges and opportunities, which I look forward to being a part of. I have lived on the Isle of Wight since 1967 and in Sandown since 2016. I’am 53 years old, divorced and have a daughter currently in year 10 at The Bay CE School. I attended Sandown High School from 1978-1983 and have a keen interest in the school. I have a background in Banking, Accounting and Law with an interest in Information Technology. I am educated to advanced diploma level in Law and work at Terence Willey & Co in Ryde. I take an interest in politics and current affairs. My hobbies include photography, history and travel. I am a good team player and problem solver. I look forward to making a contribution in my role as a Governor to the future of The Bay CE School and indeed the Cornerstone Federation. I am married, with two grown up sons. We enjoy family times together, especially if it involves walking our black Labrador! I have worked as a warden in an Abbeyfield Home and then as a Personnel Officer in Local Government and the Health Service. 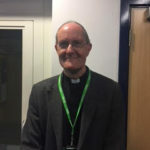 Since Ordination, I have been involved in ministry in parishes and in prison and hospital chaplaincy, both on the Isle of Wight and the mainland. 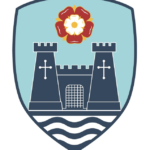 Having been a governor in five previous schools, I am really looking forward to playing an active part in the life of The Cornerstone Federation at this exciting time. 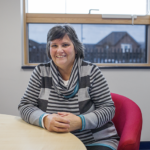 I started working at The Bay in 2012 as School Business Manager after taking time off with my 2 children. Prior to that, I worked for a Building Society for 20 years in a variety of roles up and down the country, before returning to the Island with my family. 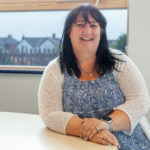 I am responsible for the non-teaching element at The Bay which includes financial management, HR, personnel, catering, premises, communications, website and the office support of the school. I am also responsible for the financial management of Niton Primary. I think I am extremely lucky to be able to combine my professional experience with my interest in making a difference to children’s education at 2 fabulous schools. When I am not in school, I am with my family who is made up of my husband, my 2 children, the dog and me. 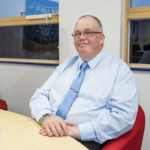 Hello, my name is Ian and I am Chair of the federation’s Governing Board. I have lived in Sandown since 2008 and am the Baptist Minister at Sandown Baptist Church. My involvement with the school means that I am often in and around both the Secondary and Primary sites at least weekly. My passion is to see both the Primary and Secondary children develop and strive to the best of their ability. In order to relax, I enjoy photography, and anything to do with computing. My other great love is my Labrador dog, Nessie, who is great fun. Hello, I am the Finance & IT Director for GKN Aerospace based in East Cowes. Alongside that, I also chair the Employment & Skills Board of the Solent Local Enterprise Partnership. I moved to the Isle of Wight 6 years ago from Portsmouth where I was the local MP between 2005 & 2010. During my parliamentary career I was the Parliamentary Under-Secretary of State for Schools & Learning. I live with my husband in Shanklin. We have 4 children and 4 grandchildren. In my spare time I enjoy walking the dog, tap dancing, musical theatre and singing in the church choir. My name is Duncan Mills and I am the Executive Headteacher of the Cornerstone Federation. The Governors of The Bay CE and Niton Primary Schools appointed me as the Executive Headteacher of both schools in July 2016. 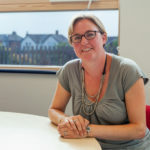 I have been a Headteacher since 1999, in five different schools, working in the London Borough of Barnet for most of my teaching career before relocating to the Island with my family. I feel extremely privileged to be working with both schools that have such talented staff, wonderful children and supportive parents and governors. 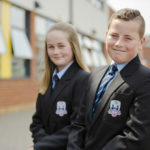 I am committed to working to ensure that pupils across the Federation have access to a nurturing environment where they feel safe, a stimulating curriculum, high quality teaching and exciting extra-curricular opportunities available to them to enable them to be the best they can be to prepare them for the future. An Executive Headteacher is a strategic role. 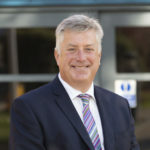 I provide strategic leadership across both schools, which secures success and continuous improvement, ensuring high quality education for all pupils and the highest standards of learning and achievement. I work closely with the Senior Team and Governors to make decisions, monitor the effectiveness of the provision and implement improvements. I spend part of each week at each school, although these days change week by week. I am always keen and happy to speak with parents. If you would like to make an appointment, please contact the school office at Niton or The Bay. My name is Anna Payne. I have been married for 30 years and have 2 children, and 3 grandchildren. Over my time working at school, I have grown and developed in ways that I never thought possible. I am the Staff Governor for the Cornerstone Federation and am in my first term of office. I sit on the Standards, Provision & Partnership committee. My link subject is EYFS where I monitor and visit Reception class during each term. 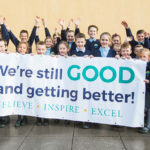 The ethos in school is a happy one; it is paramount that this is reflected within our children, and it is a vital part of our role as governors to find a way in which all children can Believe, Inspire and Excel. 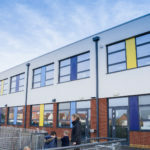 I feel privileged to be able to contribute towards shaping and securing the future of education for children, parents and carers within the community of the Sandown Bay area, with the new All-Through School opening in September; I look forward to the challenges ahead. Hello. My name is John Poerscout-Edgerton. As the proud parent of four children, two of them being at secondary school, one being a movie casting director and the eldest being the financial director of a multi-national company, I understand the importance of providing the best possible education, and therefore the best possible opportunities, for the students in our care. Having spent my adult life helping and educating people, nearly 10 years as a Metropolitan Police officer and 25 years as a teacher, I really feel I have the life skills to help all of the community that is the All-Through School; The Bay CE School. I have a Bachelor of Education (Hons.) degree from Southampton University and also a certificate in further professional studies from Portsmouth University. 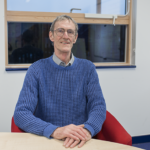 During my 25 years of teaching I have worked in the primary, middle and secondary phases, been seconded by the local authority as an advisory teacher and was head of mathematics at Sandham Middle School for 10 years. Since 2002 I have been chairman of the Wight Island Players, a local amateur dramatics group, putting on annual pantomimes and have also used my acting skills to help with learning experiences in schools. 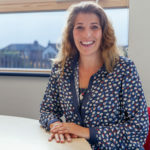 As a self-employed business consultant for ten years, I have been able to lead large programmes of change, predominantly in the public sector; both Surrey and Hampshire County Councils and the Department for Work and Pensions have used my services. I also support a smaller private sector business. Before becoming self-employed I worked for Deloitte; a consulting firm. My 2 daughters attend Niton Primary School after a relocation to the island from Guilford 3 years ago. We moved here as a family for a better work-life balance and to spend more time together as a family unit. My husband and I recently launched a glamping business at our home, Sibbecks Farm, and really enjoy encouraging more families to explore the beautiful Isle of Wight. 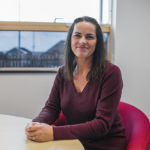 I initially applied to become a governor in order to make a positive impact within the local community as well as having the opportunity to learn about the education sector. I believe that my skills in change, leadership and management help me in being a governor; a role that requires us to check and then challenge. I completed my education at Sandown High School and at the IOW College, I completed a Hotel Reception Course and a B-Tec Diploma in Hotel, Catering and Institutional Management Operations course. 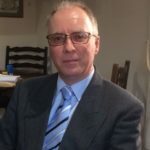 I moved to London in 1987 and worked as an Estate Agent for eleven years before moving into Local Government for twelve years where I have a background in Economic Development and Regeneration focusing on Quality and Communications, Business and Marketing and Social Media and Town Centre Management before I moved back to the Island in 2011. 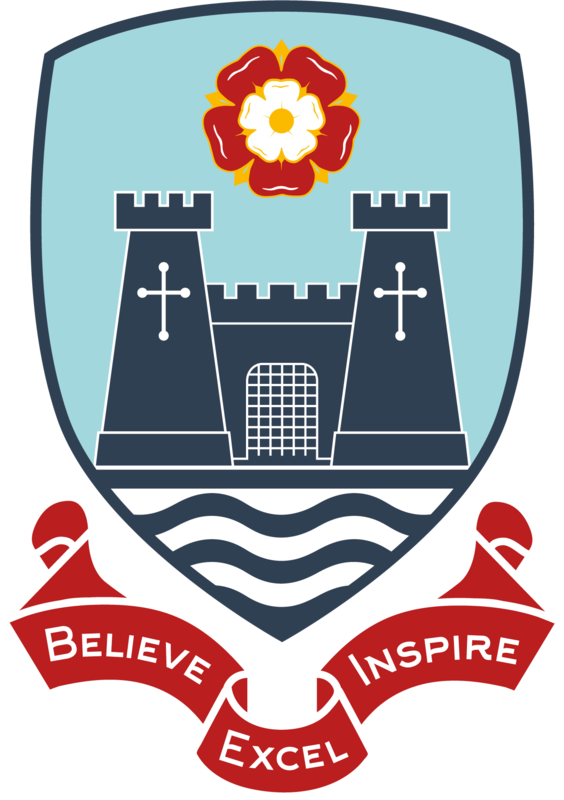 I have one son who attended The Bay CE Primary School and is now at Sandown Bay Academy soon to be The Bay Church of England School. I retrained as a Teaching Assistant and volunteered and worked at The Bay CE Primary school for four years. I am now working for the Isle of Wight Council as their Childcare Development and Business Officer. My passion in life, other than my son, is Portsmouth Football Club, where we are both avid fans and season ticket holders. Hello, my name is Katie Walker-Green. I live in Niton with my husband, 2 children and two cats. My eldest child attends Niton Primary School and is very happy there. I am a qualified secondary drama teacher and I previously worked at Sandown High School / Sandown Bay Academy for 10 years. I am passionate about quality teaching and learning, engaging, creative and inspiring learning environments, ensuring every child has the opportunity to achieve their potential. I have lived in Niton for most of my life, only moving away for University and the ‘mainland experience’. 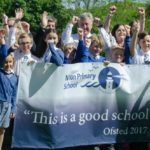 My decision to apply to become a governor stemmed from my passion for maintaining Niton’s excellent standards and my desire to support The Bay CE Primary School and its forthcoming transition to an All-Through School. 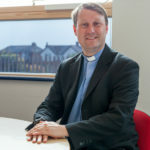 Hello, I am the Reverend Mark Williams and am the vicar at Christ Church, Sandown and at St Paul’s in Shanklin. I moved to the Island with my family to take up post here at the beginning of August 2018. We have three children; our daughter will soon be attending the all through school. My involvement with the school means that I am often taking collective worship at the school on a Monday or am at Christ Church when the year groups come for collective worship there. I was a governor at previously on the mainland and gained valuable experience there. I look forward to continue serving the Cornerstone Federation.